The new CNC woodworking centre has arrived and has been installed. It runs well and produces parts as planned, but the expected economic advantages are not being achieved. 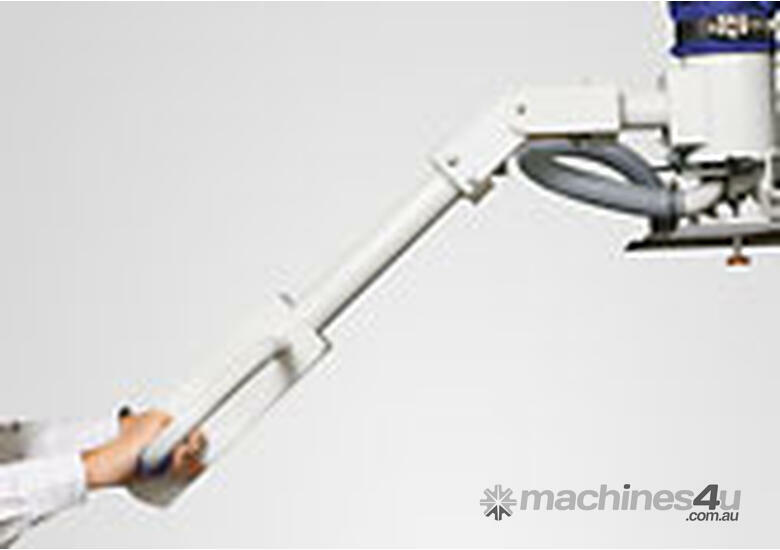 One possible reason for this is that the available performance of the machine is not being fully utilized, although the repayments and the operating costs still have to by paid. 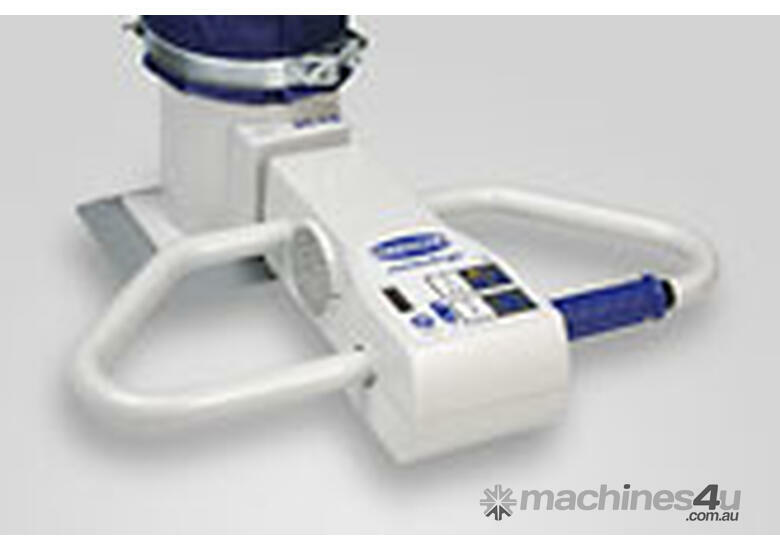 In the knowledge that machine running times are not all productive times, it is clear that all unproductive times must be reduced or – if possible. eliminated. There are various possible approaches to this. 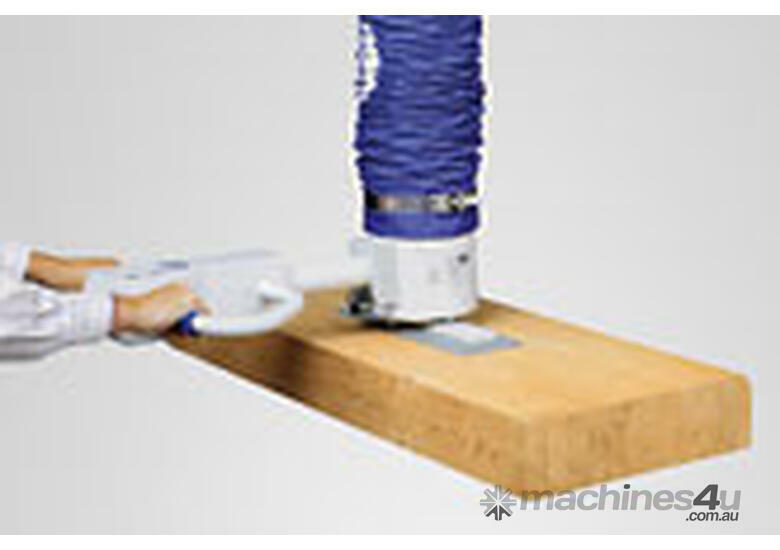 A very important item is the time spent setting up the machine: in many cases, highly modern CNC woodworking centres are not equipped with suitable workpiece clamping systems and loading and unloading is frequently carried out manually. In both cases, there is an enormous potential for improvement. 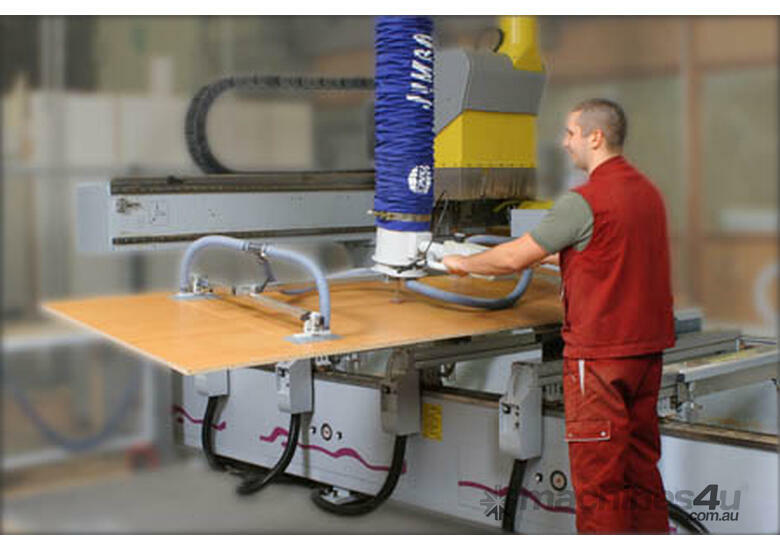 A typical example of this is a woodworking firm which specialises in windows and interior fittings for living rooms, kitchens and bathrooms, which purchased a CNC woodworking machine for milling, drilling and edge-machining, but continued to load it manually, just like its predecessor..
From two-man handling to a "one-man show"
However, since the workpieces were up to 4,000 x 1,500 x 22mm in size and, in some cases, weighed more than 100kg, loading and unloading of the machine had to be done by two people. The fact that production was not possible during these operations and that the second man had to be on-call and therefore had to continually interrupt his own work, quickly became a source of annoyance to the management. 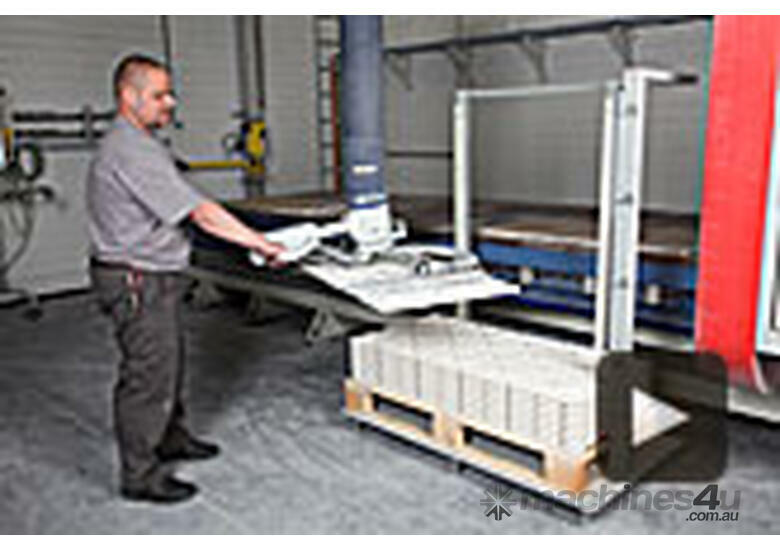 They therefore started to look for a handling device for loading and unloading the CNC machine which was suitable for the task and flexible enough to handle the varying workpieces. 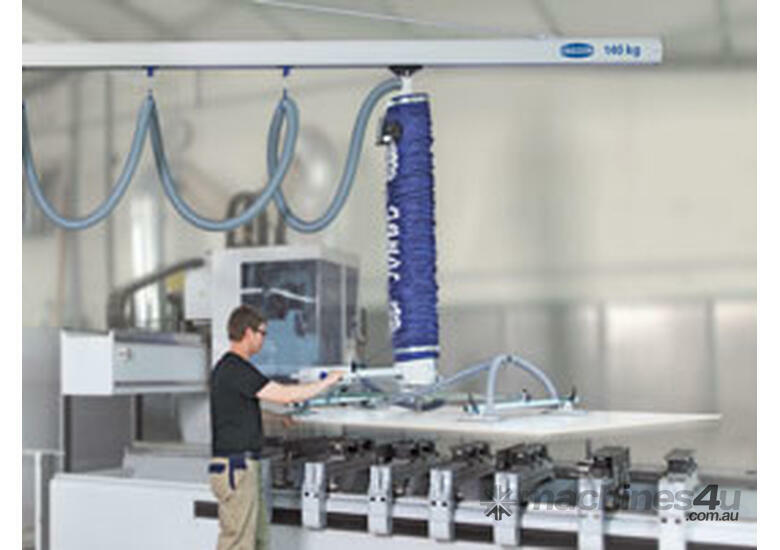 After a thorough analysis of the requirements, Schmalz (represented by Millsom Materials Handling in Australia & New Zealand) was able to present a convincing solution which would permit workpieces exceeding a certain size and weight to be handled, with the aid of a lifting device, by a single person, namely the machine operator. Smaller workpieces would still be handled manually, as in the past. Since, as already mentioned, the workpieces could be up to 4,000 x 1,500 x 22mm in size and weigh up to 110kg, and because it was necessary to handle workpieces with different surfaces (coated or veneered sheets of chipboard, furniture elements, working surfaces made of Corian, etc.) carefully and without damage, the device chosen for this task was a vacuum tube lifter JumboErgo 110 capable of lifting loads of up to 110kg. 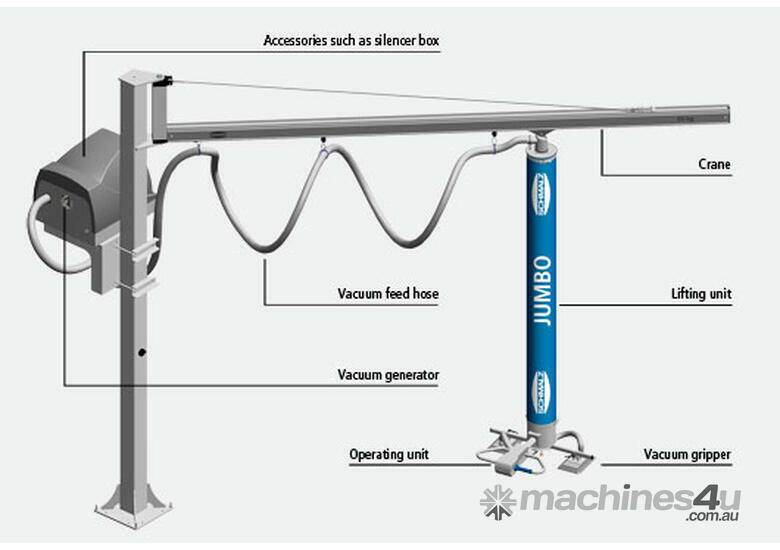 The handling system based on the vacuum tube lifter JumboErgo consists of a slewing column crane, a quadruple vacuum gripper system, a vacuum blower and a dust filter. 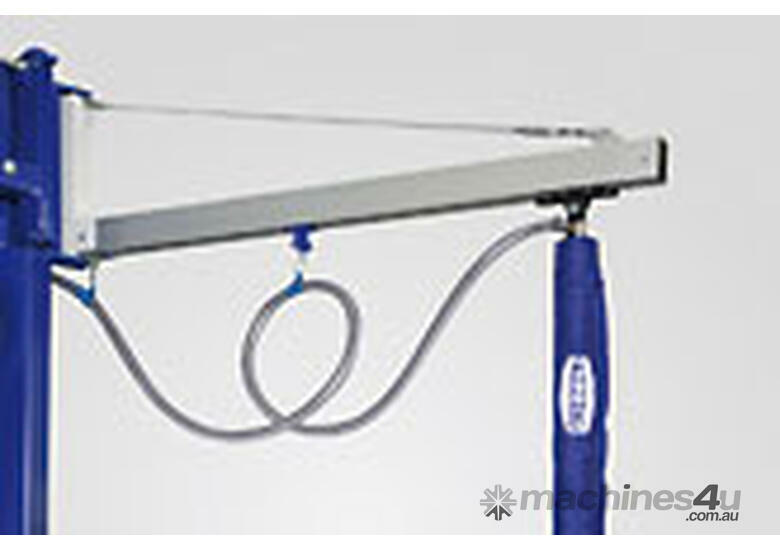 The slewing column crane is designed for loads of up to 140kg and has a relatively long jib (5,000mm). 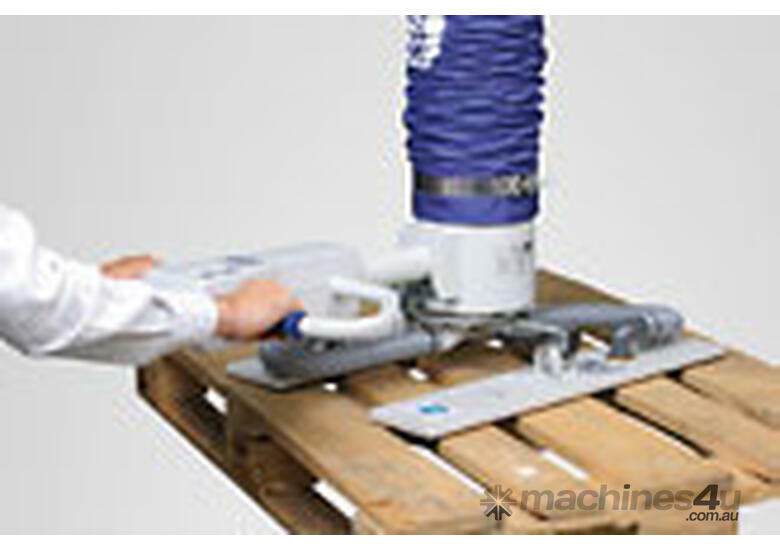 It also has a slewing angle of 270°, permitting large sheets to be handled freely and also making it possible to place small, heavy sheets on the edge of the machine table and pick them up again. 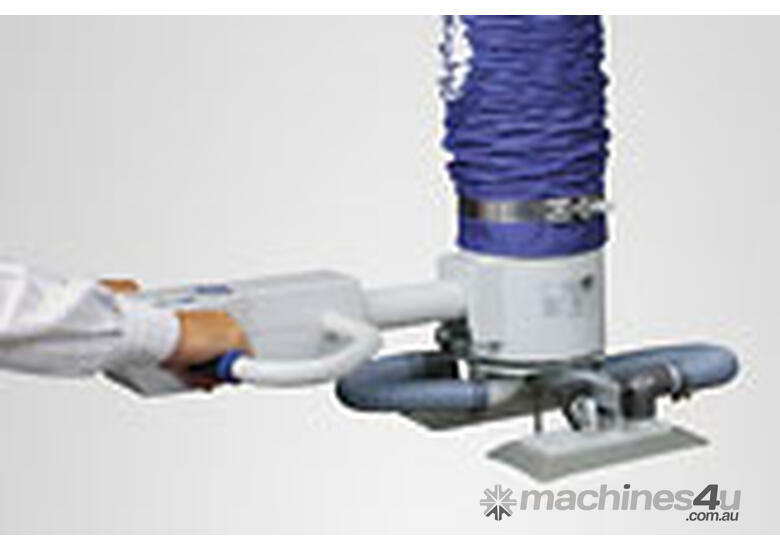 For this, the quadruple gripper system was designed such that it can be adjusted quickly and easily to match the entire range of sheet sizes, from 1,000 x 1,000mm up to the above-mentioned maximum size. 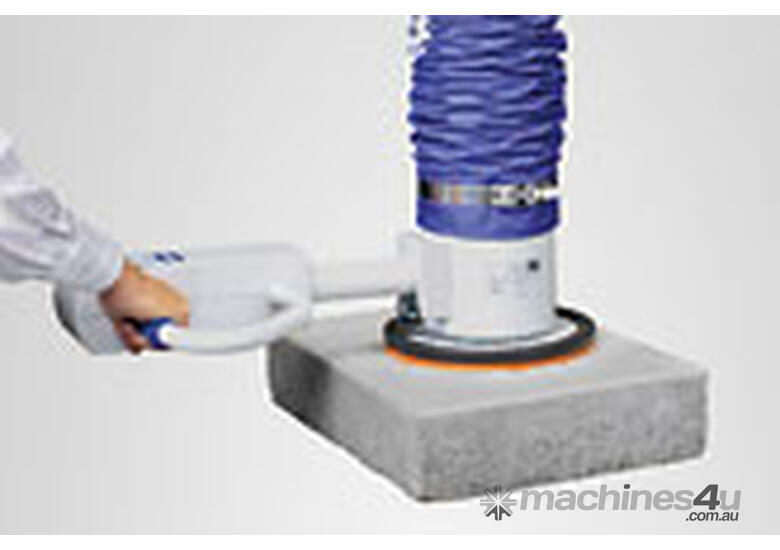 The four individual suction plates can be adjusted continuously in two directions and thus matched optimally to the workpiece to be handled. 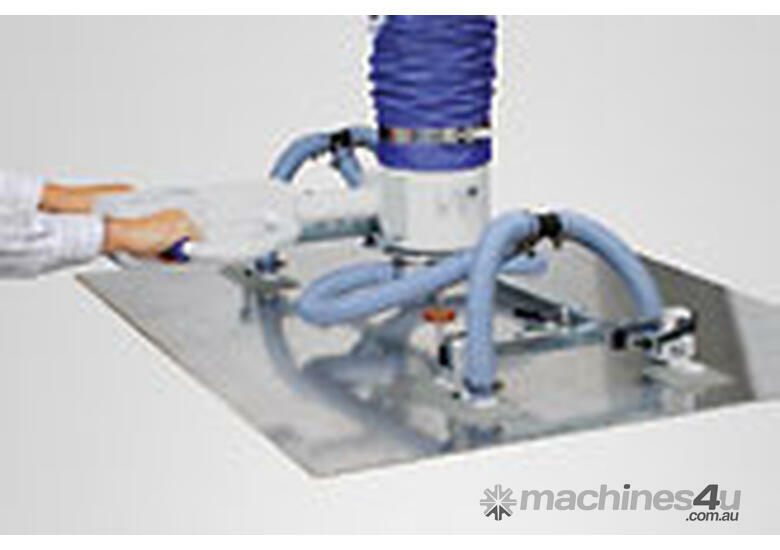 An additional venting unit ensures that the coated sheets of wood are released quickly and reliably from the grippers. 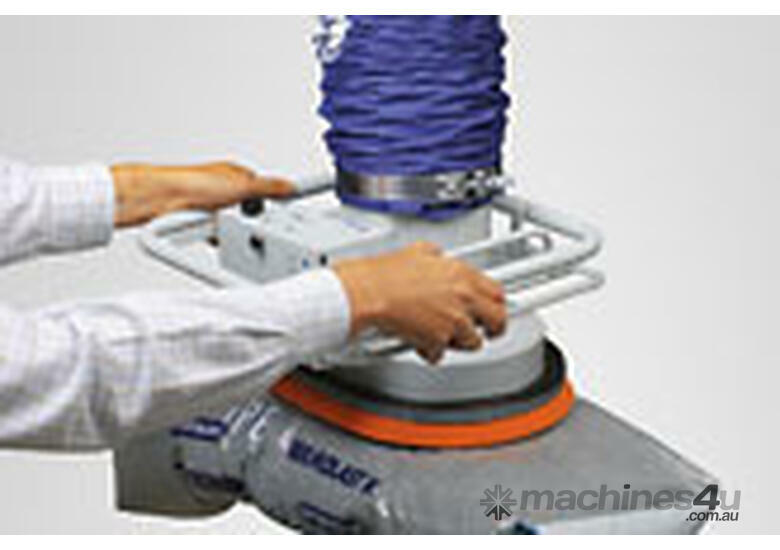 The investment in the vacuum handling system has proved its value and paid for itself very quickly. 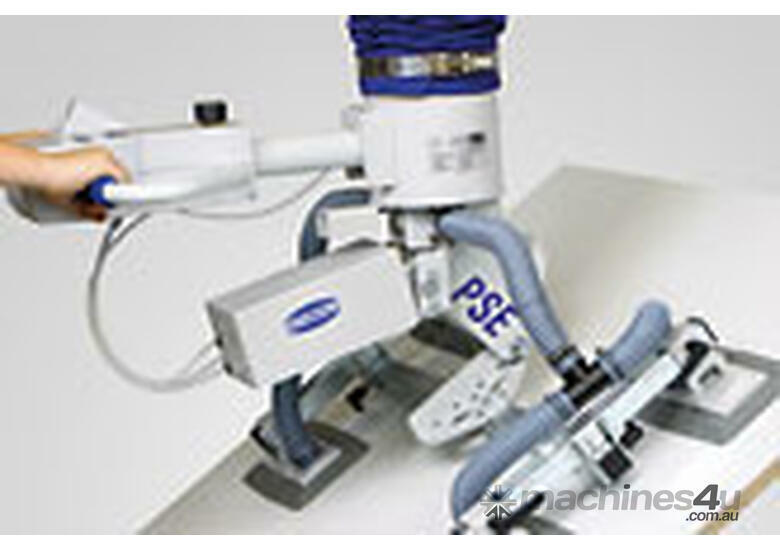 The idle times of the CNC machine have been reduced almost to zero, the machine is operated and loaded by a single person, the parts are handled quickly and safely and without damage and all types of workpieces can be handled with a single vacuum tube lifter. Light Capacity Track Gantry Cranes.